Two in, three out, two to Andra Chansen! 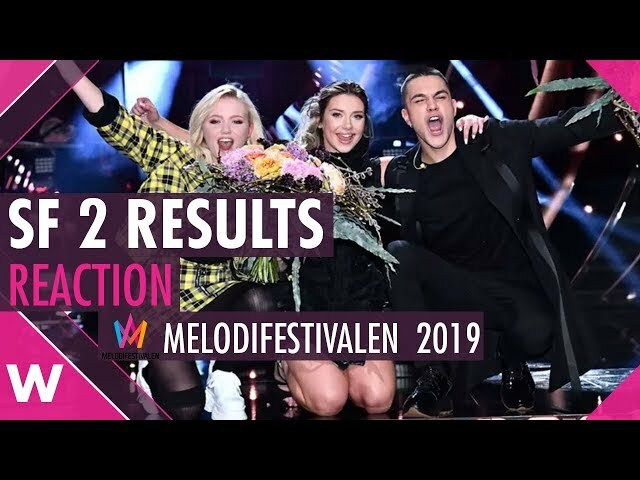 Semi-Final 2 of Melodifestivalen 2019 has just taken place in Malmö Arena and Malou Prytz — singing with “I do me” — and Hanna Ferm & Liamoo — with “Hold you” — have emerged as the winners. They’re going direkt till final in Stockholm. Meanwhile, Vlad Reiser and Andreas Johnson will have to fight to get their spot in the Melfest final in Andra Chansen, and Margaret, Jan Malmsjö and Oscar Enestad have been sent home. Sarah Dawn Finer and Marika Carlsson kicked off the show with a hip hop showdown and rocked a pair of velvet tracksuits, while Kodjo Akolor and Eric Saade brought back some of last year’s acts in an interval which also included boss Christer Björkman. It’s hard for us to do something more iconic than that so let’s just proceed with a quick review of tonight’s result. The youngest competitor in this year’s Mello appeared to feel no pressure on stage, as she actually did her and performed her entry “I do me” with ease. She brought some major ‘Queen of the High School’ realness to her electronic pop tune. Joined by two dancers, she utilised lockers and a cubic structure on stage. At only 15 years of age, she’s already gone direkt till final. Who else can say that? Hanna Ferm & Liamoo were one of the most anticipated acts of the night, with an RnB influenced power ballad with pinches of epicness. The flying sheets or decorative plastic sheaths behind them brought more drama to their performance, which included plenty of space for both performers to show off their chops. With this result Liamoo enters the club of performers who have qualified directly to the final in all their Melfest appearances. YouTuber Vlad Reiser brought killer choreography with his Swedish-language banger “Nakna i regnet”. He may not have actually been naked, but he managed to get all eyes on him and his troupe of dancers. Singing may not be his profession, but Vlad proved to be a perfectly competent vocalist. Melfest veteran Andreas Johnson channeled major pop-rock band vibes with a signature schlager touch in his anthemic “Army of us”. Working the monochrome, Andreas was joined by a glam-rock band looking troupe who played guitars and other instruments in the back. Polish hit-maker Margaret went all Fleur East with a quirky and popping stage performance including four dancers and some others who appeared in the LED background. Working an interesting blue velvet outfit decorated with pearls, Margaret made the audience move to the tropical beats of her entry “Tempo”. She may have lost the tropical look this year, but Margaret sure knows how to work a sticky beat. 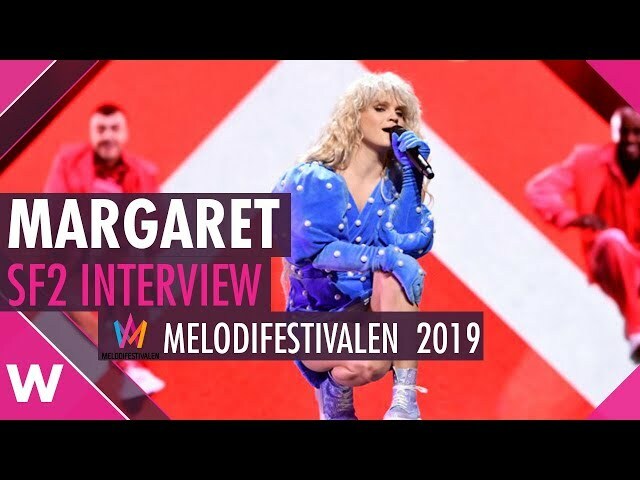 Margaret is back to Melfest and we get a chance to talk with her about the last year of her life and her entry "Tempo". Kraljevi Ulice and 75 Cents are not back — it’s just Swedish veteran Jan Malmsjö performing his classy act “Leva livet”. 86 years-old Jan Malmsjö began his performance with a spoken word sequence and a female dancer in the back. This seasoned actor, whose career began in the 1950s, performed a tango-influenced song which is an ode to life. After 50 years since he last entered Jan Malmsjö is back to MelFest with "Leva livet"
Ex FO&O member Oscar Enestad got a cube made of neon lights à la Francesca Michielin to perform his half pop half EDM entry “I love it”. Oscar worked those camera angles and moved in and out the cube to tell us the story of the lover his parents don’t really like. At the end, rose petals fell from the ceiling and Oscar kneeled down. Sadly, the Swedish audience seemed to share the thoughts of Oscar’s parents, and they weren’t particularly impressed with the performance either. 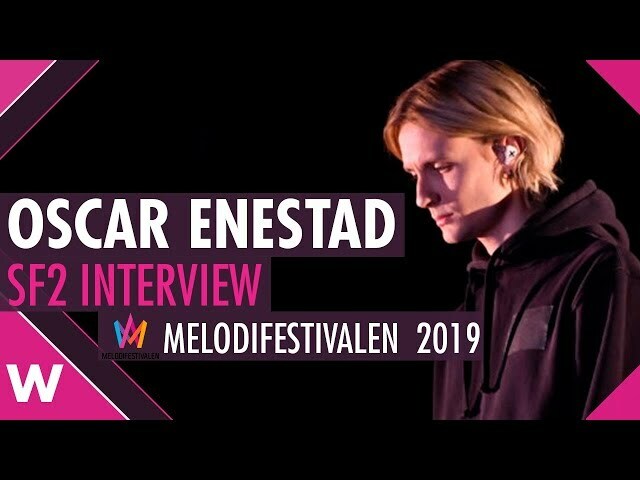 We speak with Oscar Enestad on his song "I Love It" and the real life inspiration of forbidden love behind the lyrics. Did your favourites advance to the final? Who would you have put direkt till final? Who shouldn’t have been left behind? Tell us in the comment section below! 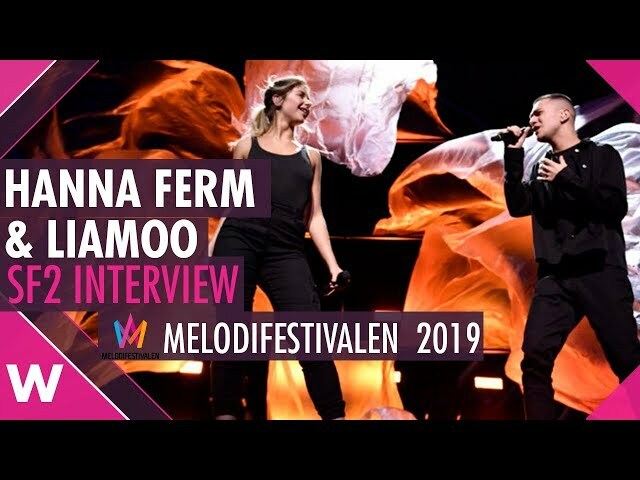 Hanna Ferm & LIAMOO speak with us backstage at the Melodifestivalen 2019 Grand Final in Stockholm. 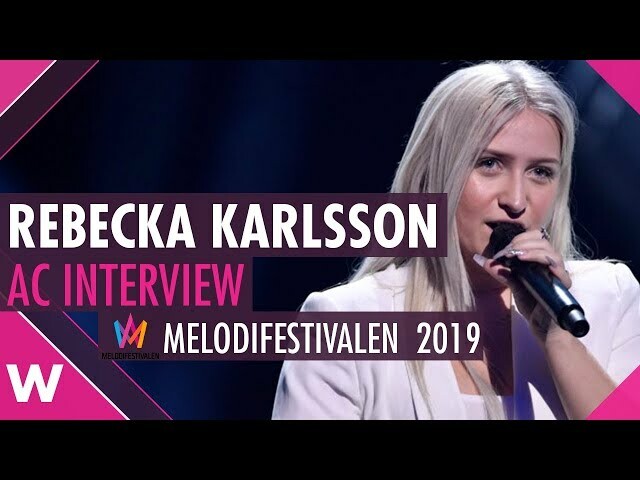 Queen Wiktoria speaks with us backstage at the Melodifestivalen 2019 in Stockholm. 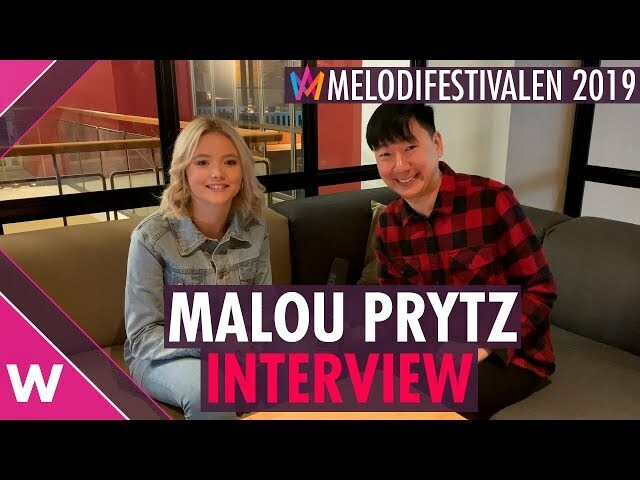 We speak with MelFest Malou Prytz about her song "I Do Me" in Stockholm ahead of the Melodifestivalen 2019 final. 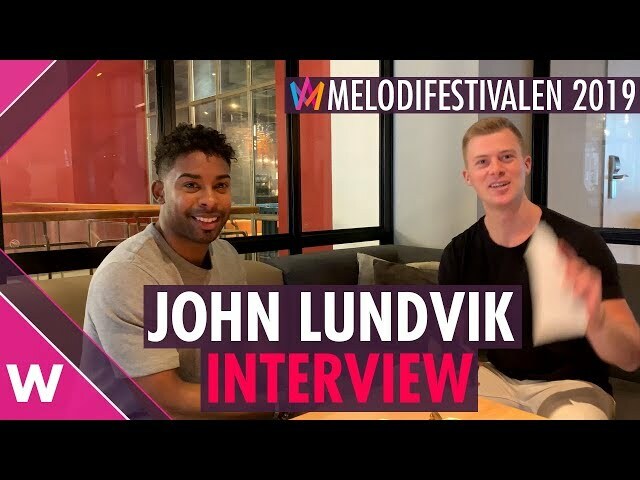 “Too Late for Love” singer John Lundvik speaks with us at the Melodifestivalen 2019 Final in Stockholm, Sweden. 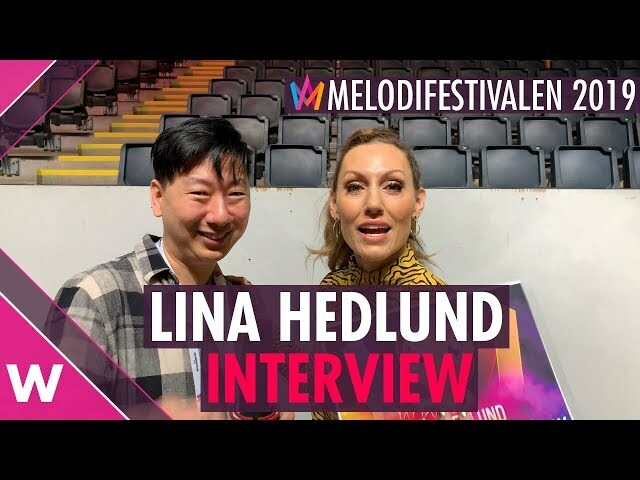 Lina Hedlund speaks with us ahead of the Melodifestivalen 2019 final in Stockholm. 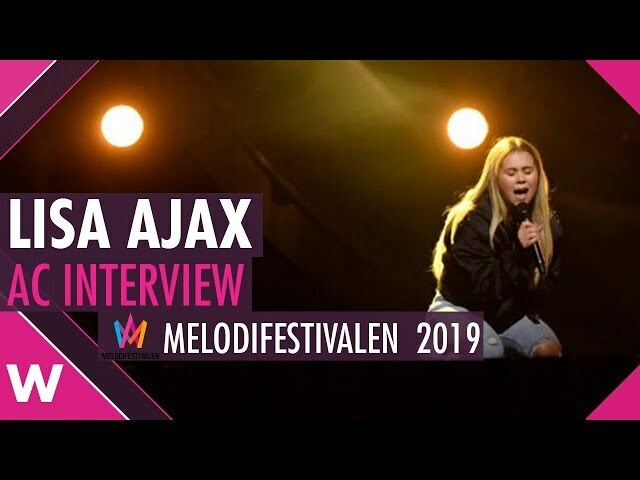 Lisa Ajax speaks with us after the Press Conference at Melodifestivalen 2019 Final in Stockholm, Sweden. 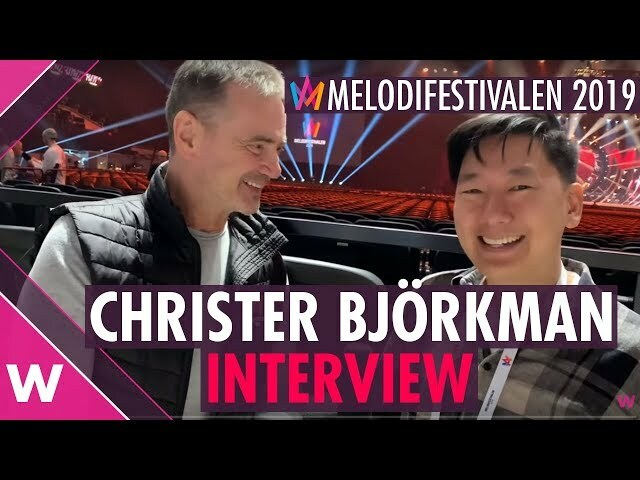 We speak with MelFest Contest Producer Christer Björkman about the new public voting system, Sweden hate, and Loreen. We have an in depth conversation with Jon Henrik Fjällgren about the many elements of "Norrsken", and why he does music. We met Bishara ahead of Melodifestivalen 2019 final in Stockholm. 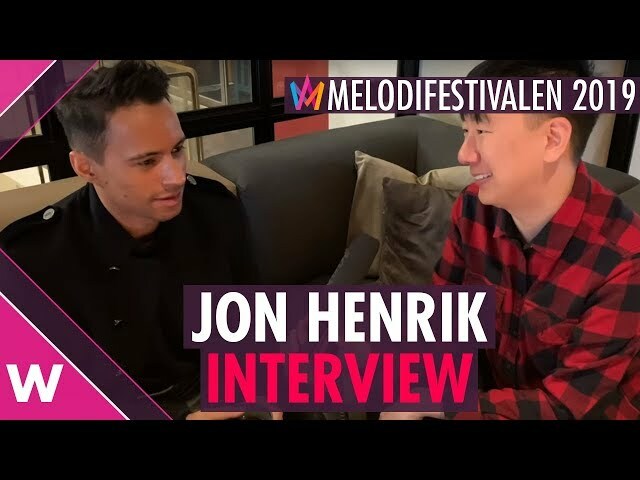 He told us about his musical background, how he mixes his music career with school and about his connection with Benjamin Ingrosso. 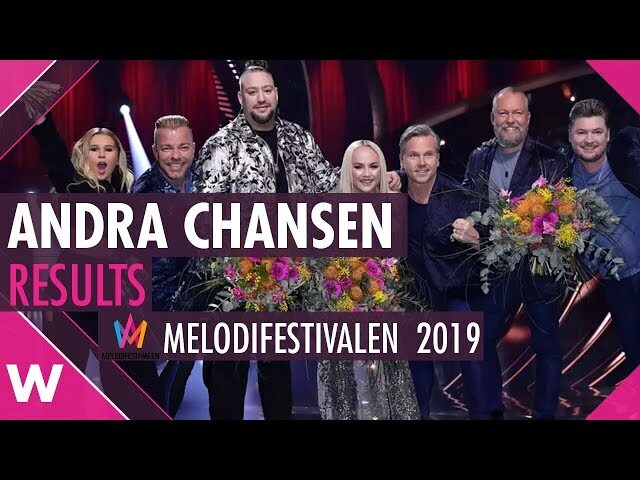 We react to the results of Andra Chansen of Melodifestivalen 2019 taking place from Nyköping. 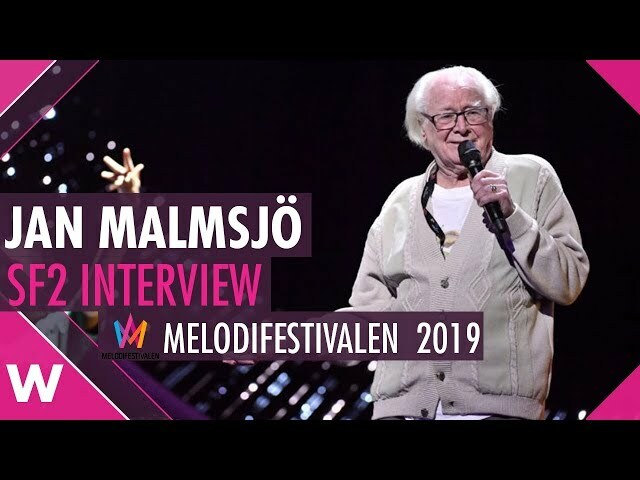 We speak with Eurovision 2015 winner Måns Zelmerlöw on Melodifestivalen 2019, UK's YouDecide 2019, his upcoming vacation to Tel Aviv, and his brand new single "Walk With Me", a duet with Dotter. 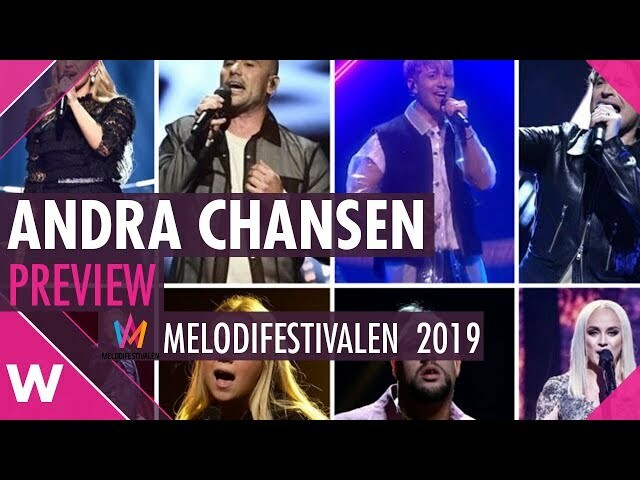 We preview Andra chansen of Melodifestivalen 2019 from Nyköping. We speak with Rebecka Karlsson at Andra chansen in Nyköping about her song "Who I am". We speak with Arvingarna about "I Do" at Andra chansen in Nyköping. Martin Stenmarck tell us about "Låt skiten brinna" at Andra chansen in Nyköping. We speak with Lisa Ajax at Andra chansen in Nyköping about her song "Torn". 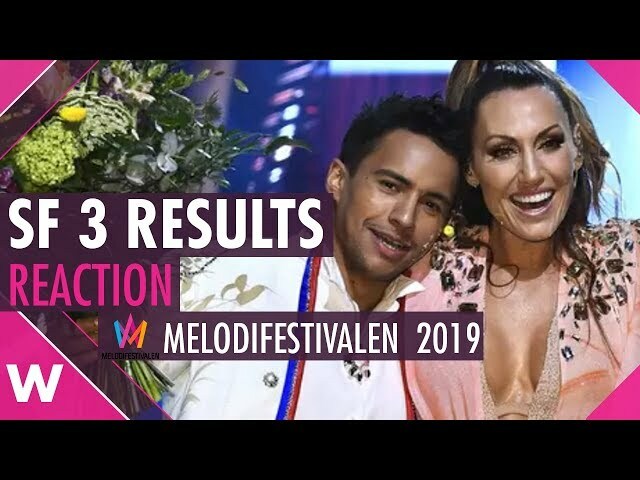 We react to the results of Semi Final 3 of Melodifestivalen 2019 taking place from Leksand. 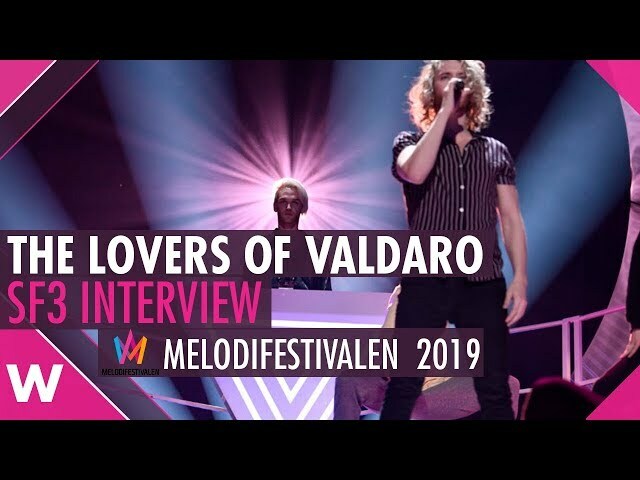 We talk with the act chosen via P4 Nästa, The Lovers of Valdaro about their long journey to the MelFest stage with their entry "Somebody Wants". He is the third member for FO&O to compete solo at Mello, it's time for Omar with "Om om och om igen". Alcazar may be done, but Lina Hedlund is heading solo in MelFest with her pop banger "Victorious". 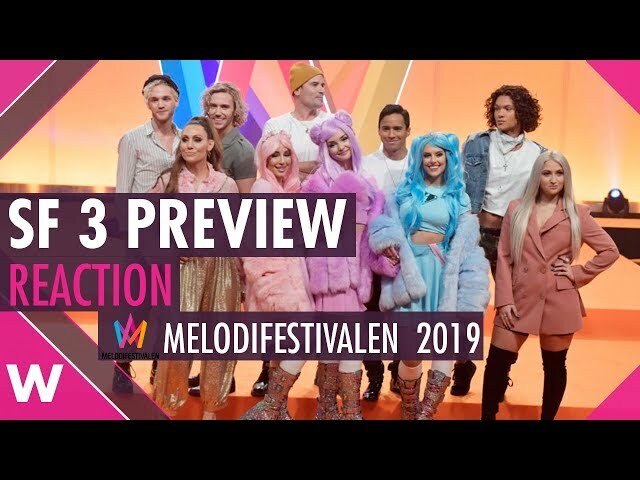 We preview SF3 of Melodifestivalen 2019 from Leksand. Malou Prytz went directly to the finals of MelFest after she smashed her debut performance of "I Do Me". We react to the results of SF2 of MelFest from Malmö. They are quickly become contenders to go to Tel Aviv, we talk to Hanna Ferm and Liamoo right after they went direct to the finals in Malmö!!! 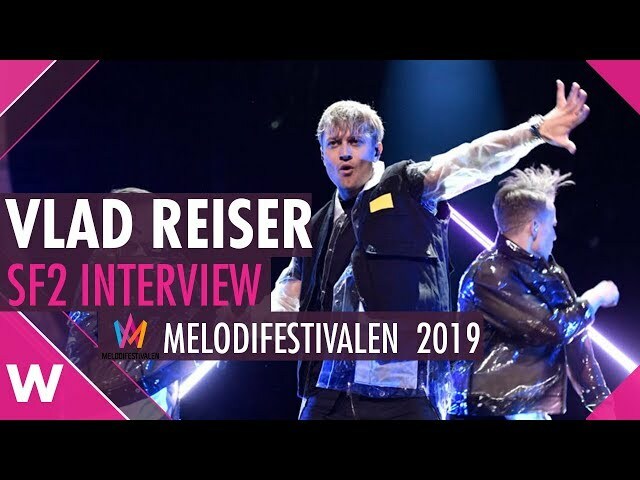 He is a YouTube star and now MelFest debutant, we speak with Vlad Reiser about his journey to the music stage and his entry "Nakna i regnet", and secrets to being successful on YouTube. 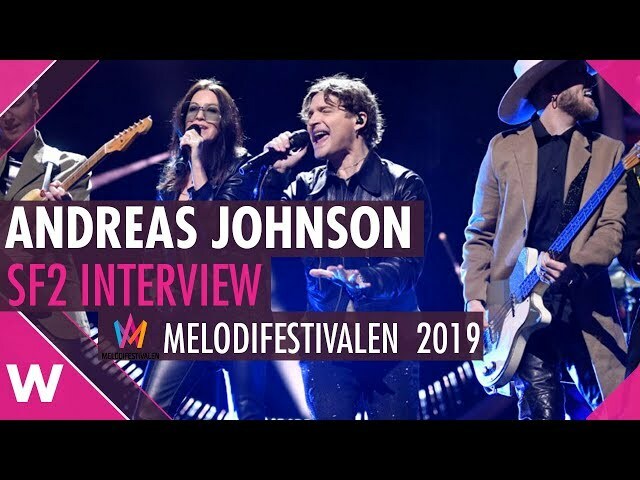 Andreas Johnson is back for a 7th time with what many are calling his strongest entry to MelFest yet with "Army of Us". 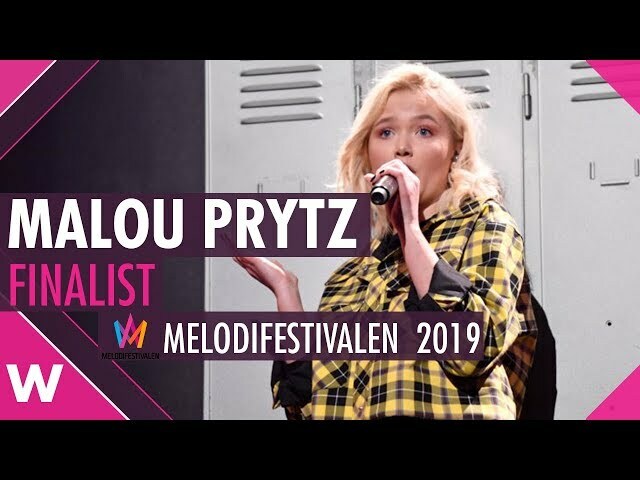 Malou Prytz is making a huge debut on the MelFest stage. 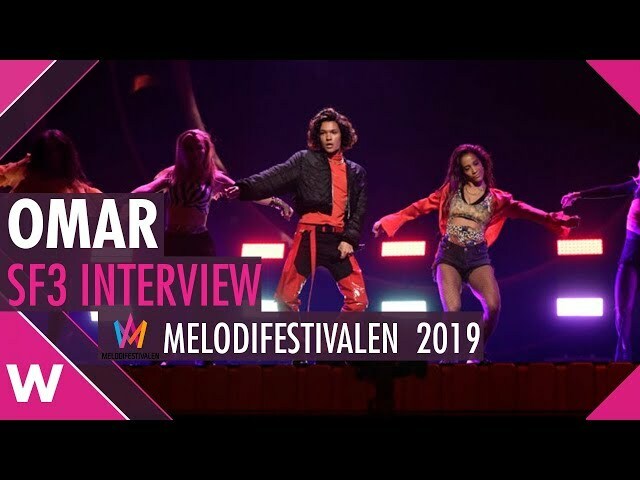 We talk to her about her entry "I Do Me"
They are jumping up the odds to win all of #MelFest, and we get a chance to talk Hanna Ferm and Liamoo on their chemistry and their song "Hold You". 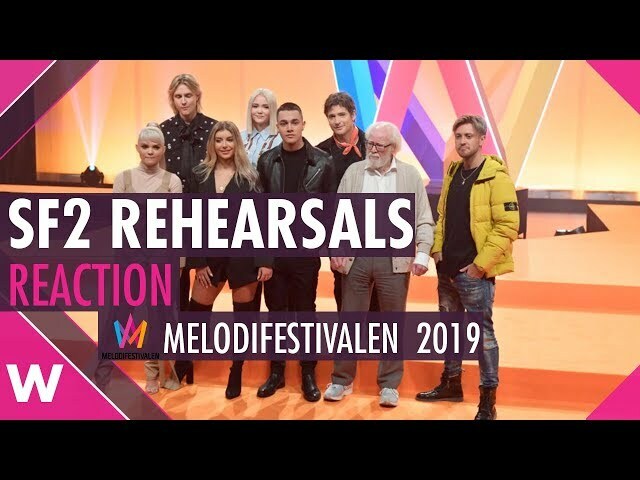 We react to a the rehearsals for SF2 of MelFest in Malmö. 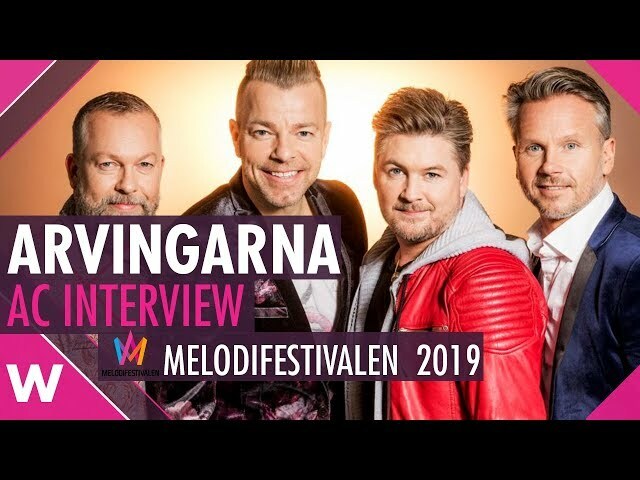 READ MORE MELODIFESTIVALEN NEWS HERE! Evertime i listen to Oscar’s song its like he is singing ‘my Paris’ not ‘my parents’ is it just me? Everytime i listen to Oscar’s song its like he is singing ‘my Paris’ not ‘my parents’ is it just me? Actually, singing live is a requirement in MF. Right, but the pre-recorded backing vocals can cover up a lot. So who won? Emily Blunt and James Franco as a married couple who is heading towards divorce during redecorating of their house (hence those plastic sheets everywhere) with their neglected daughter who watched too much “Fancy” and “Clueless”. Good movie. How come you have such insight into her childhood? It was a joke but ok.
Or shockingly enough, we just didn’t like the song. She said the same thing last year and we still voted for her to go to final. Her song was simply not good enough this year. WTF?? Malou goes direkt till finalen with this cheap, generic song? Amd Margaret and Oscar are out?? What happened to you, Sweden?! Well I don’t know why you’re surprised. Margaret’s and Oscar’s songs were generic and cheap too. Moreover, Margaret’s staging was just horrendous. I didn’t like Malou song but I would choose her over Margaret any time. Hmmm, I should only write in Swedish … omg .. sorry for my English ha, ha..
Kjem du i Noreg òg? I like all the qualifiers so far, but I agree they’re all generic radio pop. I’ve seen Sweden do great for some years now, so I actually dont mind a bland song placing low in the Eurovision. That would be a signal to us to come up with something more creative and risky. Well maybe not Malou.. I do agree that we need something more risky that will stand out to win Eurovision not just a “good” song. I’m hoping that Jon Henrik got something. We don’t need to win every year. I think this year we just want a good song. Hannah and Liamoo are super cheap. Too much plastic surgery for Hannah. This melodifestivalen seems to be a distaster. Hanna was 16 when she was in Swedish Idol, looked like that back then too. Dont think shes had any plastic surgery. Hanna and LIAMOO is in it to win it! Super strong. Malou Prytz was a nice surprise finalist! when can we hear the full studio versions???? But not until all four semi finals are over. Hanna and Liamoo are my favourites so far. so far wiktoria is the only possible winner. waiting for jon henrik! Im glad Margaret is out. What a waste. I liked semi 1 better, this was quite a dull semi. Still the catchiest song that evening! One thing I want to point out (and also a question). I noticed that Oscar had MORE votes (739,501 to be exact) versus Jan Malmsjö (630,359) BUT Oscar came 7th whereas Jan came 6th. Is this a result of their new voting system of representation for all age groups? If so, there is a good possibility that Margaret may actually have received more votes than the AC qualifiers BUT failed to appeal to all demographics. Same with Malou who may have gone direkt till final with fewer votes but appealed to all audiences fairly equally. Is it just me or that semi was just so weak? Honestly the only thing I kinda liked was Tempo and Army of Us maybe. These songs are not perfect tho, but the best out of all in my opinion of course. I am disappointed with Malou and Hannah & Liamoo. They were simply bland and flat. Don’t get that offensive, I respect all participants but it doesn’t change the fact for me it was really weak rivalry. I agree 100 % with you. Al Swedish zong is so mutch better than Italys song. I liked all the songs this sf but I defs preferred the qualifiers of SF 1 to this SF 2. Malou I really like her song but wasn’t blown away by her performance or anything. Hanna and LIAMOO have amazing voices but the song is nothing crazy – reminds me of Norway 2015. Agreed that Tempo should have qualified. Anyway, I don’t think Nano and ESPECIALLY Anna Bergendahl have anything to worry about for AC if the other AC qualifiers are like the ones in this semi-final. Not hating on Norway 2015 either. I just tend to prefer not having a song that is so similar to a previous entry come back is all. “Hold You” is a good song but my absolute favourite tonight was “Army of Us”. I was surprised it didn’t go directly to the final. is it possible for margaret to be sent by Poland at this stage in time? Oops, I am really sorry. I read your comment wrongly. Indeed your suggestion is great!!! Curiously, Poland were going to announce their act yesterday, but they delayed it by one week as they didn’t have it decided. Perhaps they were thinking of wooing Marg if she didn’t make it any further in Melfest. They’re cutting it a bit fine, if that’s the case…personally I’m rooting for Edyta! That would be lovely indeed! Margaret with this song or even a better one and getting a better result than whoever Sweden sends would be funny! Why didn’t she choose Polend from the start? Must be easier if esc is the goal!? Or is it the melfest she want to participate in for the quallity of the production? Perhaps Esc isn’t the goal?! She said at the Melfest artist reveal that her aim wasn’t to win Melfest. Margaret is signed to a Swedish record company, so that’s her focus. I would be surprised to see her turn up as the Polish act this year with “Tempo” – her record company might not permit it. But I wouldn’t rule it out entirely! Strange if the lable would say no to a possibility to get more Attention for their artist. Just use another song that they want attention for in ESC if poland are interested. Yes, why even bother to send something good. . There is always something.. Honestly we can’t come up with a new Euphoria every year. He came in 7th instead of 6th, so what? ah I should have checked the comments first before making a similar one. You are exactly right though. The voting numbers not adding up with the placings is a bit troublesome. 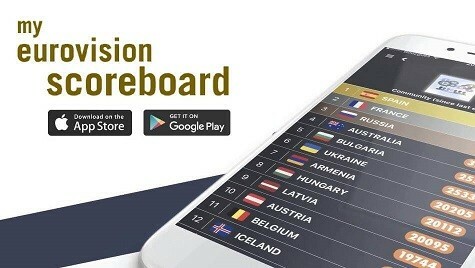 While I like the idea of having age-based representation, that’s not how eurovision works so this voting system may not translate all that well to the eurovision stage as the older one did. Some observations here: shook at Malou’s direct to final…the app teen vote got her through…Margaret’s elimination wasn’t that surprising…Hanna/Liamoo were best of night, but not the winning song of Melfest (I mean, plastic sheets blowing in the wind as your staging? Cheap). Oscar was indeed the worst song lyrically, so deservedly last behind the veteran, Jan. Andreas and Vlad were decent enough with their staging and performance to warrant andra chansen. Overall, not as strong as first semi. Really hope Jon Henrik can bring it home next weekend! haha. Im just teasing:) I didnt want Måns Zelmerlöw to win, I wanted Italy then. I wanted Robin Stjernberg to end low and i didnt Want Bejamin Ingrosso in second place after the jury vote 2018 so i dont like Sweden every year :). You do realize that the singers and songs going to Eurovision are NOT you, let alone the entire country? And no, there is no need to be avundsjuka. Yes, and you are giving these idiots a run for their money. Sweden get consistently good results, I think “hated” is a little paranoid. Nooo, some people obviously have a thing against sweden on this site. It’s pretty pathetic. Jeez, as someone who really likes Sweden and Melo, that kind of comment won’t exactly help your cause Rasmus. actually I found SF2 stronger than SF1 because it had more good songs to listen to than SF1. SF1 – 3 songs vs SF2 5 songs, this semi was a lot more radio and fan-oriented, finally felt like Melo was picking up the vibe it had lost last year. it’s a shame that Oscar didn’t qualify, had double thoughts about Margaret tonight. Liamoo and Hanna are a stunning duet and deserved their DTF, congrats to Malou with a nice debut. quirky Vlad was quite fun too. Margaret sucked. Go back to Poland now, we don’t need you here in Sweden! Öhhh.. Vlad till andra chsnsen . Trodde jag aldrig, men när dottern visade snap och hur kidsen hejade på så började jag ana. Sedan Malou, super roligt för henne och att det var då mycket tjejer bakom. Verkar vara så otroligt fin tjej, verkligen en man vill ska gå bra för. Men till final. Det såg jag inte komma, Trodde även Oscar skulle till andra och Margaret trodde jag faktiskt även sulle till andra även om inte jag själv var så begaistrad. Fantastiskt framträdande av Hanna och Liamo. Tyckte bättre om låtarna förra delfinalen. Hade de inte ändrat med röstningen via appen hade kidsen kört över oss ”pensionärer” och fått både Vlad och Malou till finalen tror jag. Var spänd när Jan skulle sjunga. Att han skulle fixa hela texten. Men blev ju inte katastrof i alla fall. All heder åt honom. Känns sorgligt med resultatet om än självklart. I really like LIAMOO’s and Hanna’s voices, but the song left me cold. I didn’t feel anything. It seemed like everything was from a Eurovision-manual book. Exactly, and the staging was nothing special. No winner vibes here. are hannah and liamoo a couple? I’m wondering the same, they looked like it, didn’t they? Indeed. They certainly fooled me. Good actors. Meanwhile, Italy is at song number 9. I’m not gonna live long enough for the result. How long do they drag this show out? Well at least the audience get our money’s worth! I’m staying for Irama, Ultimo and Loredana’s blue hair. Till 1 am. Let’s hope it’s gonna be worth watching. The winner is usually crowned at about 1 a.m. San Remo time, I’m not even joking. Okay, so it looks like it’s gonna be well after 1 a.m. – they still have two songs, plus the top three go again, then they drag out the final results…there’s at least an hour left. I’ve been saying this the entire week, margaret is only hyped up by you guys and she was! Her song was awful, staging was terrible and she can’t sing. Glad we acknowledged that and sent Malou to the final together with my favorite couple! Margaret was really the first person to not even qualify from AC with her slot lmao. And oscar last? There are lots of times i disagree with how we vote but this has to be the best thing that has came last! Hanna and Liamoo were much better than the others. I personally don’t think they will win Melfest, but they surely deserve their spot on the final. From the others, I guess I would pick Andreas and his well done pop rock. 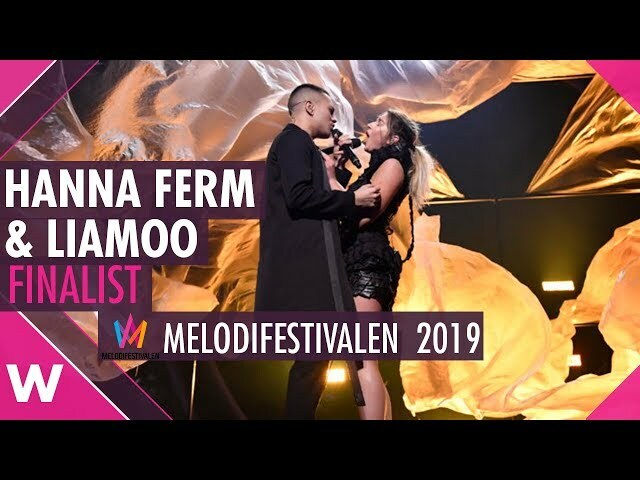 Hanna Ferm & Liamoo were so good, one of the sexiest duets ever in MF. Malou Prytz was very cute. I LOVED Oscar and cannot believe he finished 7th. Totally robbed. Andreas keeps delivering great songs, that nineties vibe gets me every time. Great show! The first thing you ALWAYS see here when you click on a page about Sweden is complaints about everything. I dont read the comments anymore. Im so happy the fans are such small part of voting in ESC. I dont understsand how fans can have such horirible taste. Thats facinating as a swede to see. Calm down you special snowflake and get over it that someone doesn’t like your overhyped selection. Here is a Dutchie that loves Sweden in Esc. 2011-2018 are all in my top 5s with 3x as winner!! Australia made a weird choice. Top 2 in Sweden didn’t make it. Top 3 in Iceland didn’t make it. Bottom 2 in Iceland did make it. Margaret sadly deserved not to qualify. Her staging was atrocious, the green screen looked like a cheap looking bat-mitzvah clip, and the costume was kinda ugly. Malou perhaps wasn’t banging, but catchy fun and polished looking, so it deserved to qualify. And also fun fact: that’s the first time since 2014 that last song didn’t qualify to the final or AC. Just proves we cannot trust running order anymore. Hold you is a really nice ballad and they vocally nailed it a nd for me that was the best song in 2 semi, supposed that Margaret is eliminated and Malou qualifed tho . I’m happy for Liamoo and Hanna. So deserving of the spot. But this Malou girl… sorry if I’m shady and I’m reading her. All for girl power. But… this was a flat song. Not memrable at all. Also cheap version of Zara Larsson. Should’ve been Andreas or Margaret instead. Why? Because stronger songs. My opinon. So PLEASE don’t come at me.